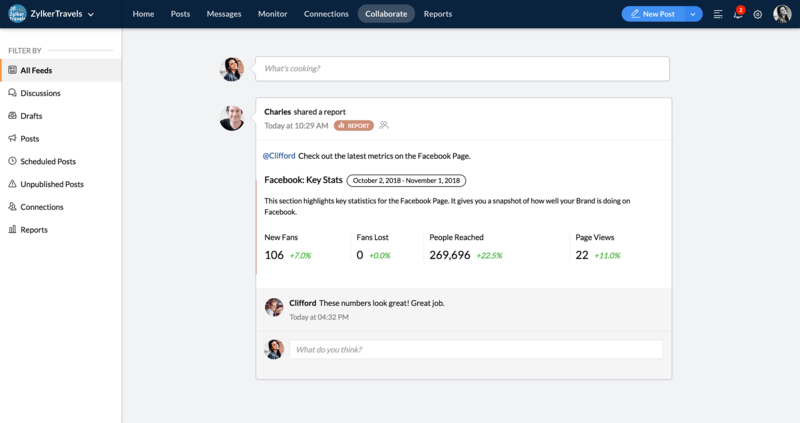 Features you and your team will love. 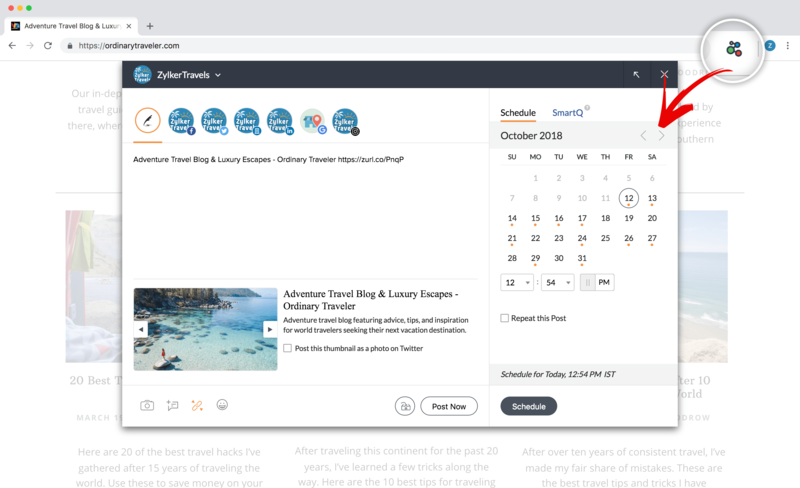 From scheduling and publishing content in multiple ways to creating intuitive reports and responding to what matters—Zoho Social provides powerful tools your business or agency needs to help build a strong presence on social media. There's more than one way to publish a post. 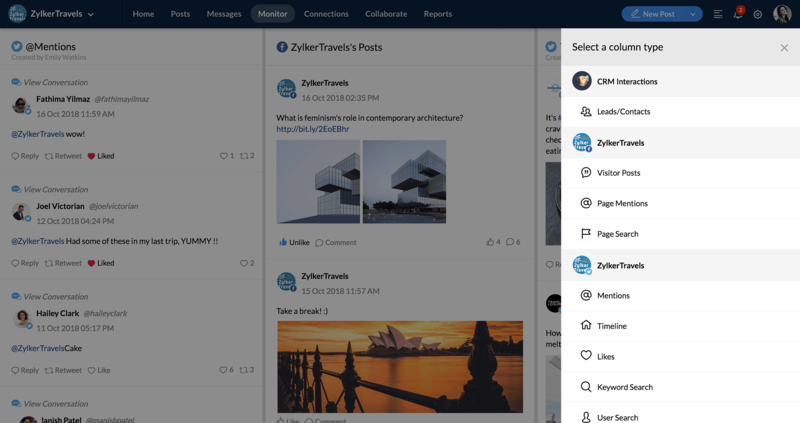 Collaborate with your team and make smart decisions about everything social. Follow what matters to your business, across social networks. 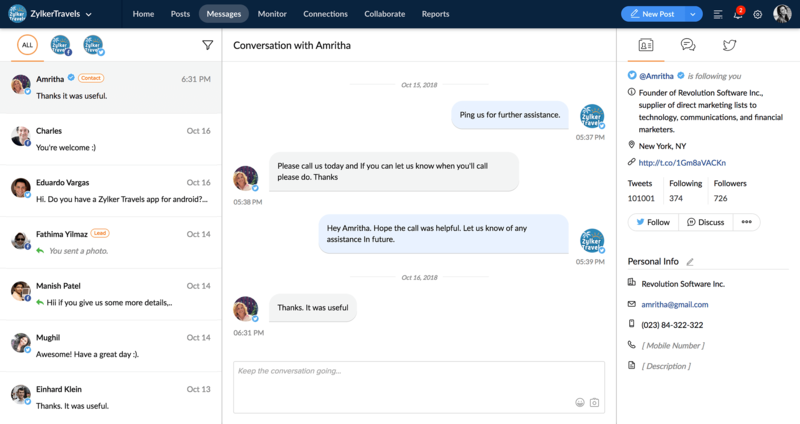 Get a unified view of all messages within your Brand Inbox. Turn messages into conversations, filter them by social network and close-loop all important discussions. Gain meaningful insights about your brand's social media presence with visual reports. Glance at the basic stats or dive deeper to understand your brand's performance with detailed analytics. "My favorite feature is the "SmartQ""
Shannon JohnsonFounder - The Sustainable Collective.co. "It is much easier to interact with leads and potential customers right from the dashboard and refer them over to the CRM program." Caitlin SSales Campaign Manager at CVirtual. 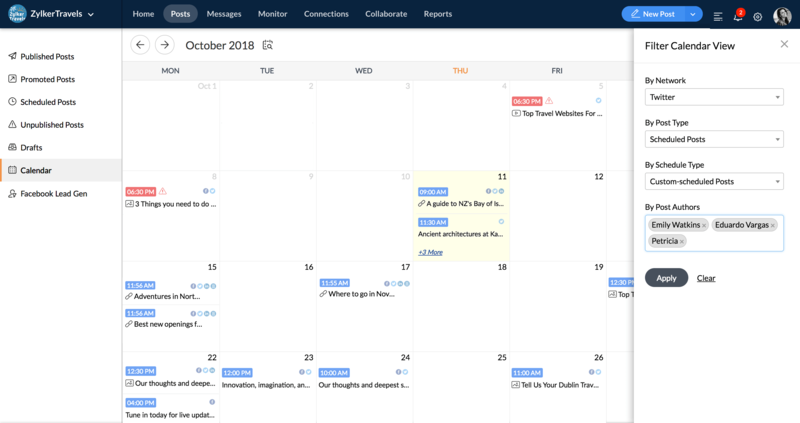 "Zoho's ability to schedule bulk messages is my favorite feature! It's so quick and easy. Love it!" Eduardo Zavala NuñezCEO at Grupo Neo. "Zoho Social is a great application! Works well for posting social media content to multiple platforms, all at once." "I have been using Zoho Social as my go to app on iOS simply for the fact that as a data scientist it relieves me of having to sign in to post on different networks." Stay tuned with a real-time stream of everything that matters to your brand- including people and businesses you follow and their interactions with you across social networks. You can also take action directly from within the Live Stream. A real-time list of users who engage with your Brand across social networks. 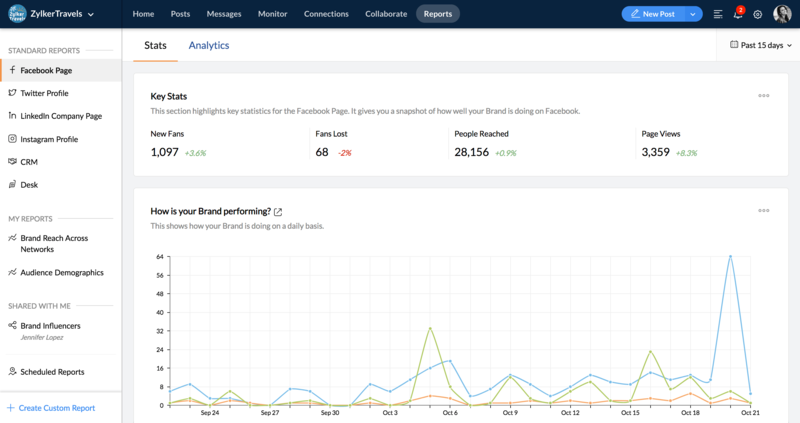 View the complete interaction history for each of your Connections, identify influencers and advocates for your brand, and build better relationships.